We invite you to create a unique and memorable celebration by holding your ceremony, reception or rehearsal dinner at Orcas Farm. 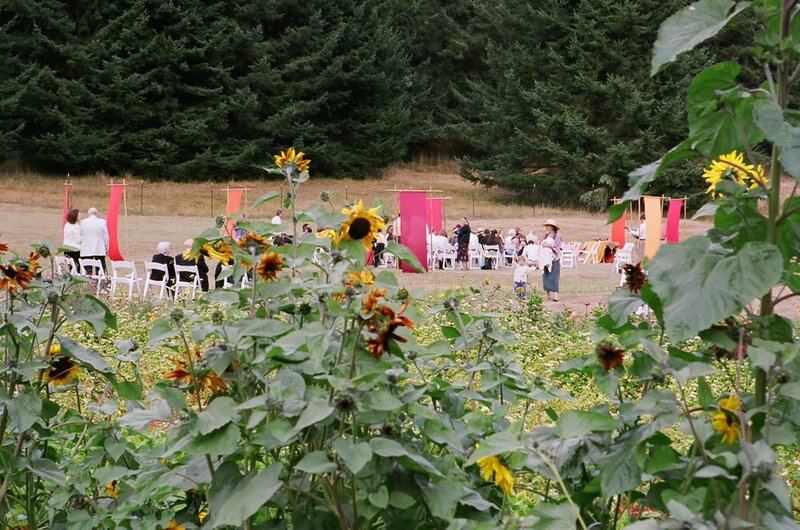 We offer a spectacular setting of farm fields and lush gardens situated above the hamlet of Doe Bay on the east side of Orcas Island. Rental of the Farm does NOT include tents, chairs, tables, linens or dinnerware. We are happy to provide you with a vendor list to meet these needs. We host events from Memorial Day through the month of September. We encourage potential clients to come to Orcas Farm for planning purposes and inspiration. Please contact us to schedule a visit. We look forward to hearing from you! Fill out our booking form and we'll be in touch with more info.